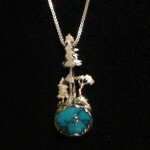 Kirk Milette Jewelry has a wide selection of over a hundred hand made sterling silver designs. Many ocean themed designs including; Mermaid, Dolphin, Turtle, Sea Horse, Whale, Shell and Sail Boats. 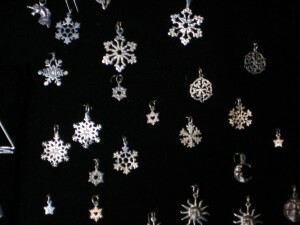 Other favorites we make are; Angels, Fairies, Snow Flakes, Flowers, The original Harmonic World and the unique Hidden Treasure pieces. 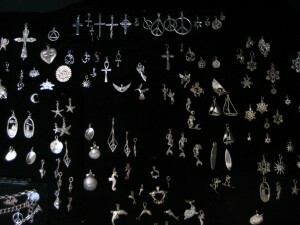 There are a verity of symbols like; Peace Signs, Ankhs, Crosses, Oms, Music Notes and Yin-Yangs. All created by Kirk Milette, hand made with care and originality. There are “Laguna Beach” charms including; The Laguna beach Lifeguard Tower, Gazebo, Wave and several “Laguna Beach” Palettes in various sizes. 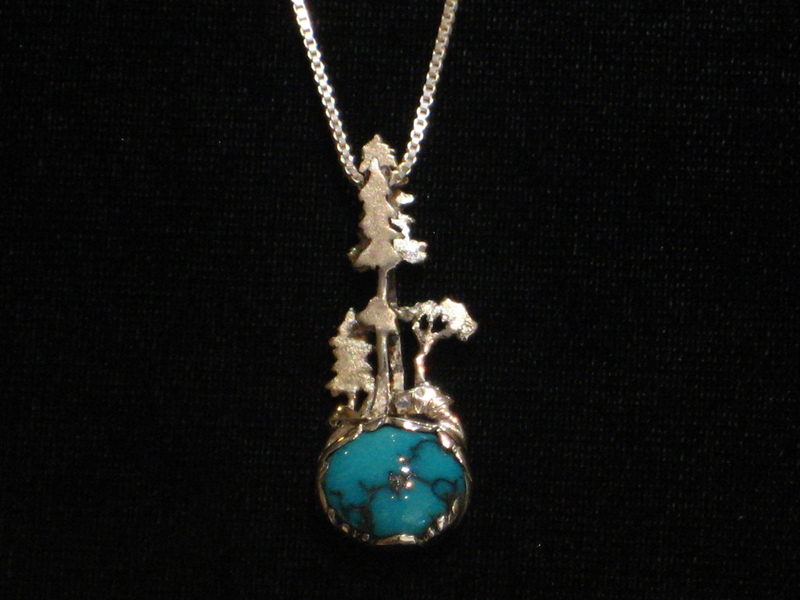 Along with the hand made charms Kirk Milette Jewelry makes Sterling Silver; Rings, Ear Rings, Bracelets and many other pieces for special orders. 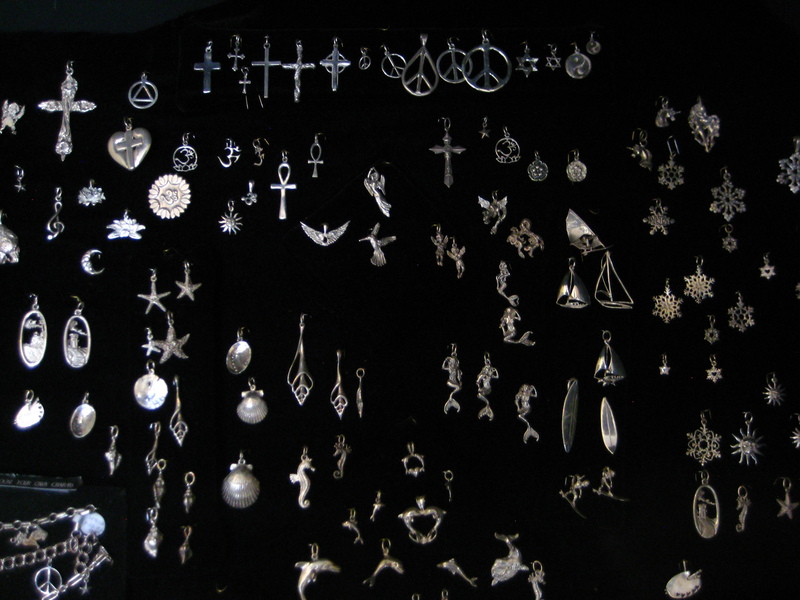 We add new designs often and all of the sterling silver charms can be made in 14K gold.